Line 6 has some history – that’s an understatement – with guitar-amp-and-effect modelling, in both hardware and software. Its current hardware range, Helix, includes fully featured and LE pedalboards, and a rack unit with optional foot controller. 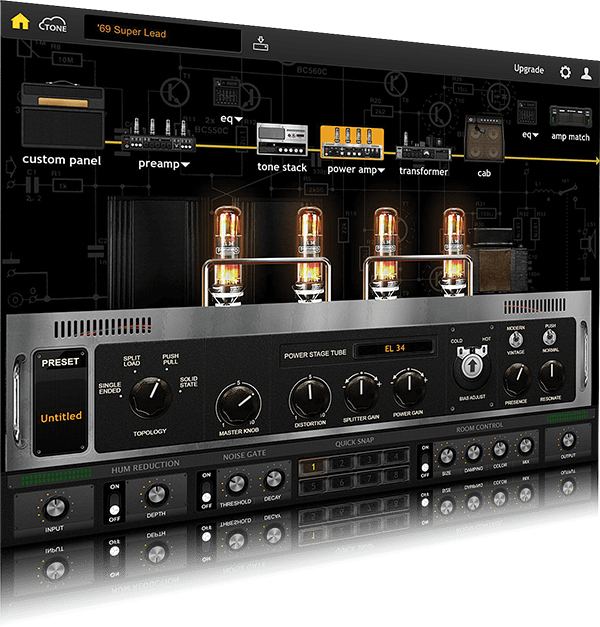 Now, the company has swung the other way with a plug-in version; Helix Native doesn’t simply borrow the family name from the hardware, it maintains full compatibility. Presets created on any Helix product can be transferred to the others. 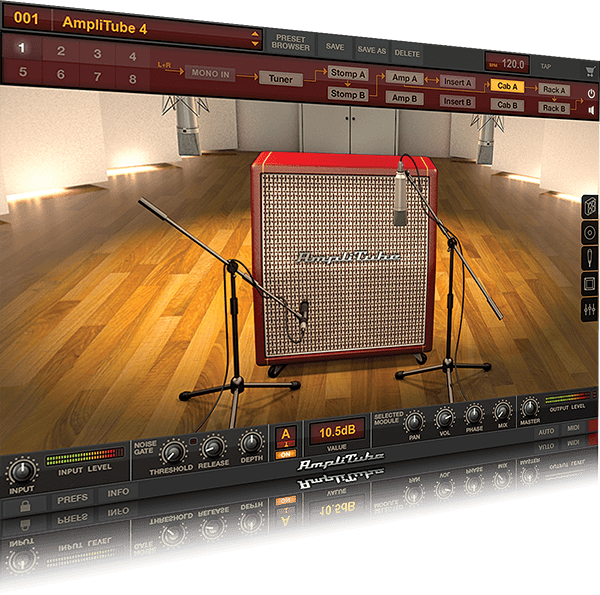 Being free to create and audition amp, cabinet, and effect chains on a spacious iMac screen in the studio before moving them to a rack or pedalboard for the gig is an attractive proposition, but let’s be clear – Helix Native is completely functional without hardware, though you’ll need a DAW or plug-in host of some kind, as there’s no standalone mode. 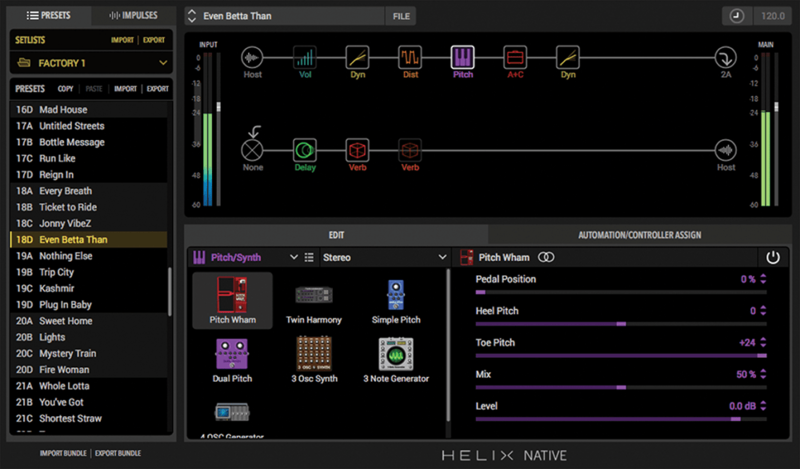 Helix Native runs as an Audio Unit, VST, or AAX, with a 15-day fully functional demo. I reviewed it as an AU in Ableton Live 10 (beta) on an iMac running OS 10.12.6; my audio interface was an RME Fireface UFX with front-instrument input. Straight off, Helix presents a cleaner design than most modelling software, with accessible modern graphics not overly concerned with providing images of the original gear in question. Double-clicking a preset name in the column on the left automatically shows the relevant signal chain in the central display, with more detailed controls below that where you can swap out individual elements and adjust amp-and-effect settings. The default arrangement provides two parallel chains, with up to eight ‘blocks’ in each, the blocks representing utilities, effects, amps, or cabinets; I love the sound of two amps working together. However, you can also go long by putting the two chains in series instead, or go wide by expanding up to four parallel chains! On a more mundane note, there’s no tuner, but your DAW probably has one already. You’ll get any guitar sound you want here, with amps represented from the WWII-era Gibson EH-185, through the obvious Marshalls and Fenders, to ultra-metal setups based on Marshall/Bogner rigs and effects including distortion, EQ, wah, and delay. Written descriptions of specific guitar sounds aren’t always helpful, because there are so many variables; having said that, for the way I play, and with a guitar fitted with humbuckers, the presets responded well to playing dynamics, and I found some favourites, for example the PV5150, ‘Mail Order Twin’ (based on a Silvertone 1484) and the Nothing Else preset, which does a pretty good Jazz Chorus impression. Overall, the presets work from the get-go, with none of the plasticky quality you can encounter with some modelling software and no latency issues. For each cabinet, one of 16 microphones can be chosen, with settings for distance, high/low cut, and early reflections – but not axis, which is odd, because that’s quite a common one. If you’re having one of those days when you’re really bored with regular guitar sounds, there are blocks for pitch-shifting, harmonisers, and three- and four-oscillator tone generators. Bass players are also adequately catered for, and I spent some happy time running a Bass VI through everything from a simple Ampeg B15 type combo (Tuck ’N’ Go), to a Gallien-Krueger stack (Cougar 800), and some monster editions based on Ampeg SVTs. There’s a balance between ‘produced’ sounds, more ready to be recorded and mixed and rawer, live-ready options. If you had a last-minute call for a session, you could probably find and use something straight away. 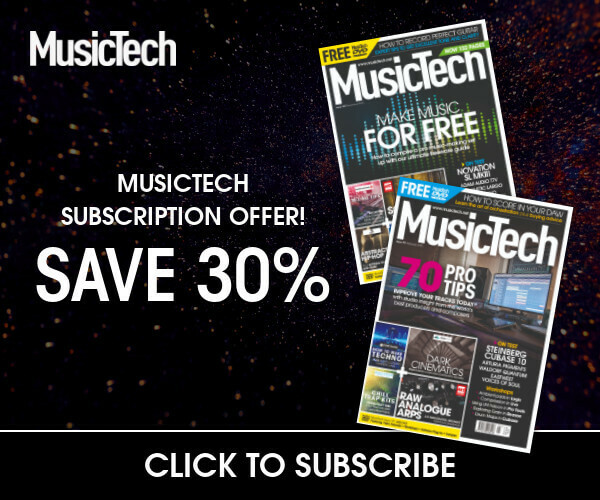 If not, look online – the compatibility with existing Helix hardware lets you exploit the many third-party presets available. Whether you’re a more electronically minded producer with a need for flexible guitar sounds, or even a pre-existing Helix hardware owner, you could convincingly argue that the answer is ‘yes’ – and Helix Native is a definite step up from the inbuilt guitar effects and amp processors built into DAWs that also holds its own against rival amp modellers. The simple layout of the interface encourages experimentation, and there doesn’t seem to be much restriction on what order amps and effects go in; just drag them around, and use the fixed points at each end of the chain to organise inputs and outputs. Both of these have level controls and there’s also a dedicated volume block, so, in combination with your hardware and DAW, there are plenty of opportunities to manage levels, which will make a substantial difference to how the amps behave; you need to hit them with enough, but not too much, signal to make them work. Custom presets can be named and saved, either in the Helix library or to another location on your computer. 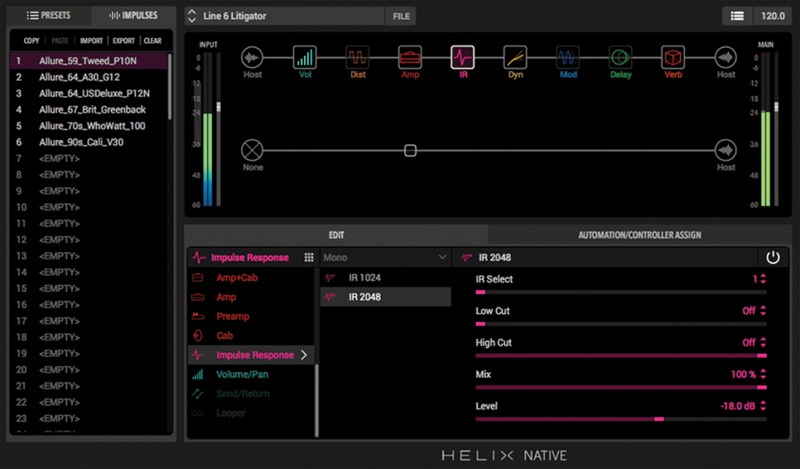 Helix uses IRs – Impulse Responses, ‘samples’ of live cabinet sounds – usually considered to create the most authentic results in modelling, and you can import your own IRs if you need more. Because this isn’t a guitar magazine, I also tried Helix Native with other instruments. As you probably know already, there’s a long history of squeezing beats, vocals – even entire mixes – through guitar amps. The inputs in the plug-in can be set to mono or stereo, so it’s easy to process stereo sources and Helix definitely has a role as a general-purpose studio-effects processor. I was quite partial to the sound of a Machinedrum through that Mail Order Twin I mentioned earlier. Vocal presets are included, ranging from the useful ‘Broadcast’ to the experimental ‘HarmBots’ – there are a lot of pitch effects in the vocal presets. MIDI mapping is supported, so you can automate Helix Native’s parameters from inside your DAW, as well as control it on stage via a MIDI controller. I’m sure a hardware rig would feel ‘safer’ for heavyweight gigs, but sometimes, you just want to travel light. 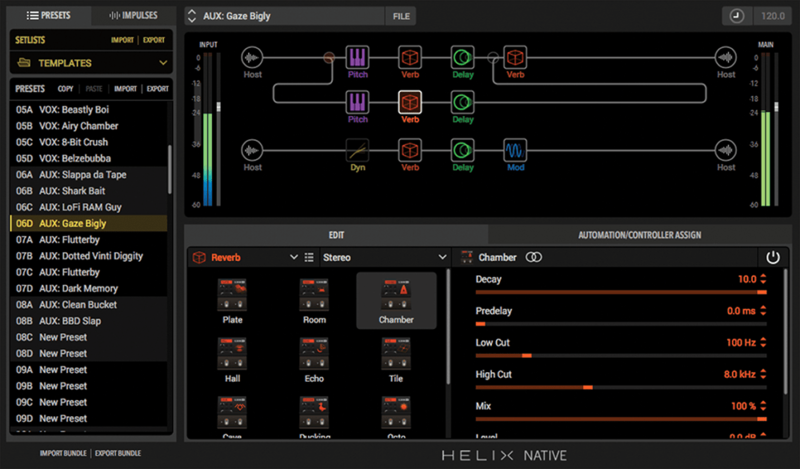 Helix Native is ideal for technology-minded musician/producers who want to add guitar to their projects, or use amps to dirty up their beats. And of course, it’s a fantastic add-on as a design interface for the Helix hardware range. Helix stands up against any amp modeller, with the usual qualifiers… you need a good-quality audio interface and monitors and you need to make the effort to tweak the presets to your needs. It’s a great solution, and far better than the semi-adequate guitar amps and cabs that came with your DAW. 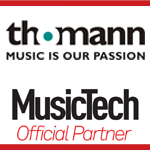 is compatible with presets made in the BIAS software. 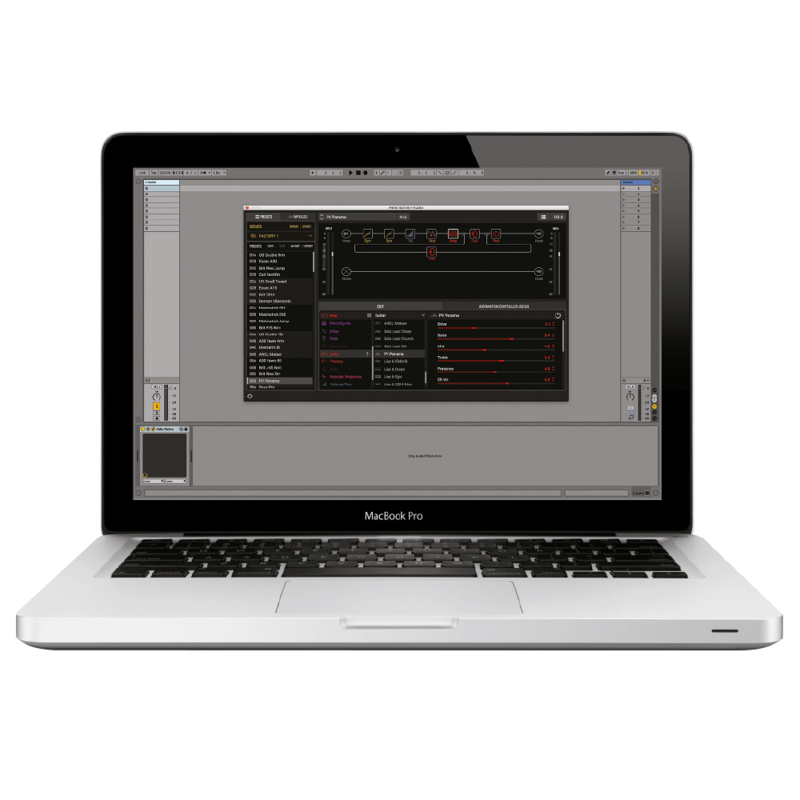 Runs as plug-in or standalone on Mac/Windows (also on iOS). Includes licenced simulations of various amps and effects and customisable ‘cab room’ environment. IK produces audio interfaces, but no modelling hardware.